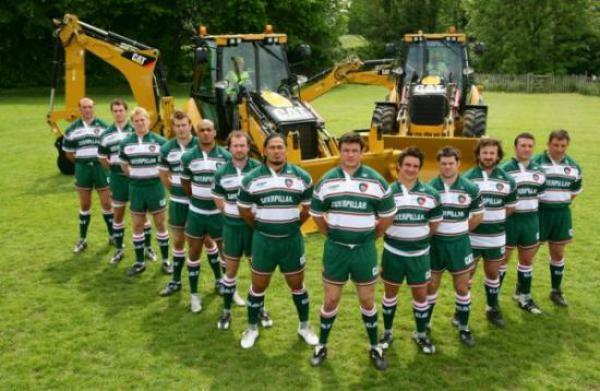 Caterpillar, the world’s leader in construction and mining equipment, engines, and related services, has signed a five year multi-million pound sponsorship agreement with Leicester Tigers, the best-supported club in the country. With 2007 global sales and revenues of over $44.9 Billion, Caterpillar employs more than 12,000 people in the UK and this partnership with England’s most famous rugby club is intended to support their national and international business and community objectives. Under the terms of the agreement, Caterpillar will become the club’s sole sponsor across the Leicester Tigers playing kit with dominant branding throughout the Welford Road Stadium, including the naming rights to the North Stand (which is currently being redeveloped) and the members’ lounge. Significant player appearances and exclusive match day hospitality are also forming part of the deal.